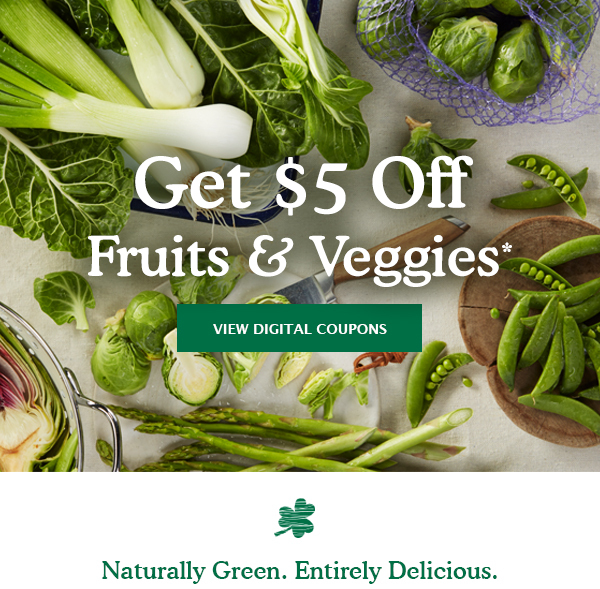 Save $5 on any ONE (1) $20 or more purchase Fresh Fruits and Vegetables. Excludes pre-cut produce, platters, salad bar and prepared foods items. 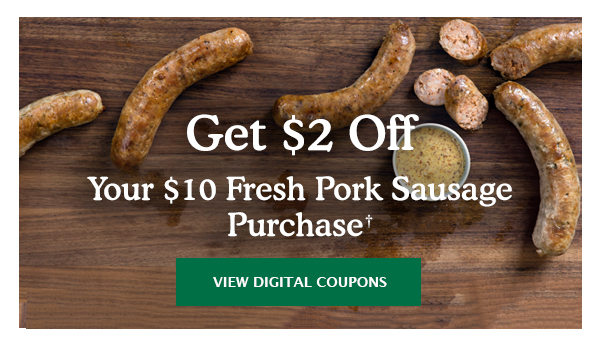 Save $2 on any ONE (1) $10 or more purchase Fresh Pork Sausage from the Meat Department. Excludes cooked. Both mobile coupons are valid until 3/21/17.